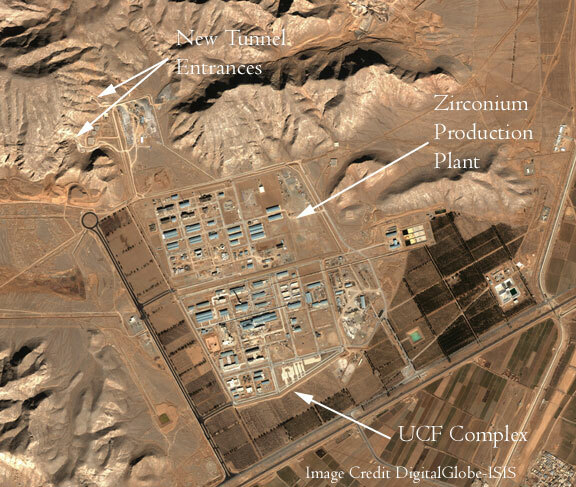 Just north of the Uranium Conversion Facility (UCF) at Esfahan, Iran is constructing a tunnel facility. The tunnel is fairly long, and has two entrances, separated by less than half a kilometer. Construction on the tunnel began in September or October 2004, and Iran is working very hard to finish the project. Iran declared to the IAEA in the fall of 2004 that the tunnel facility is for storage and other activities that are part of the UCF. It appears too big to be only for storage. It might be intended to house production facilities for some uranium conversion processes. It does not appear large enough to be a complete duplicate of the UCF. Iran already has about 500 tonnes of uranium concentrate, a few tens of tonnes of uranium tetrafluoride (UF4), and a couple of tonnes of uranium hexafluoride (UF6). 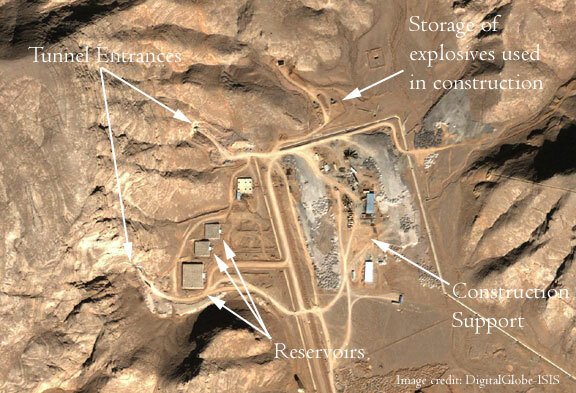 The IAEA has said that Iran should have declared the facility to the IAEA prior to the start of construction. The IAEA visited the site in November 2004, at which time there was no equipment in the tunnel. The IAEA will continue to visit the facility.